Mondays and Thursdays at 11h, join me for SLOW FLOW, a new class where we will keep it moving in the spirit of vinyasa, but more like honey and less like hot sauce. Think of it as the softer side of yoga: some gentle flow to get the energy moving, and sequenced poses to increase both strength and flexibility with more emphasis on release and relaxation. We will incorporate core strengthening, yin yoga, restorative yoga, and a long savansa to invite a feeling of inner and outer support. This class is for you if you are already running at a high frequency and need to slow down, or if you are dealing with injuries or limitations. BASIC FLOW *now at 9h15* will concentrate on learning variations of the sun salutation or surya namaskar, essential alignment and foundational strength and flexibility for more advanced postures, and the principles of vinyasa or breath-linked-to-movement. FLOW at 12h30 will move more quickly and integrate longer sequences of standing poses, balancing poses, and inversions and assume a moderate level of fitness and/or familiarity with the sun salutation or vinyasa style. 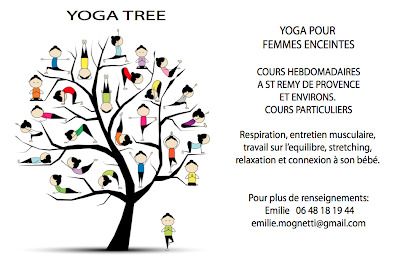 For all you future mamas: starting October 2nd, Emilie Mognetti will be offering PRENATAL YOGA Wednesday evenings at Le temps d'un parenthèse. Please contact her directly for more info! Every one of us is different, and not all times in one's life call for the same approach. The beauty of yoga is that there is something for everyone! Please contact me if you have questions about finding the right style for your current needs. I am using yoga socks while doing yoga. This helped me a lot to reduce my pain. As I do yoga regularly, so its necessary for me to use socks, to make myself more comfortable. I really love this socks. I wear almost all day long. As they have various sizes and designs. They are also very easy to wash and dry as well.